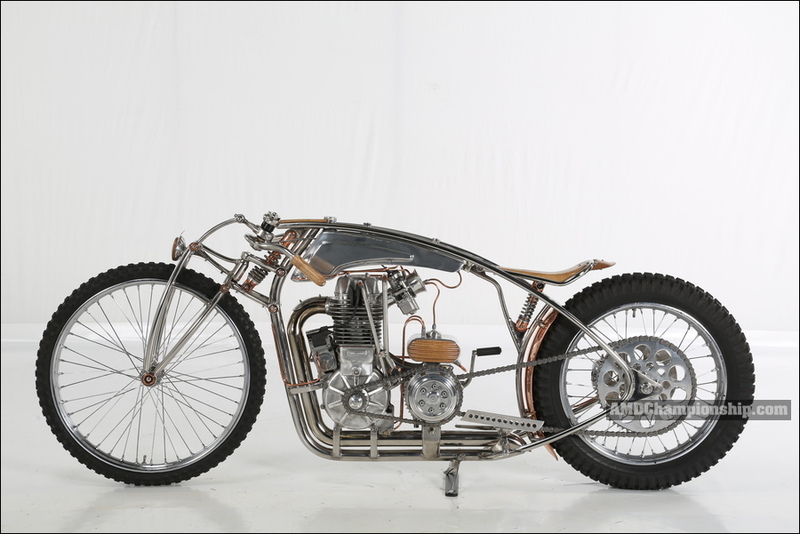 Motorcycle made of stainless steel. 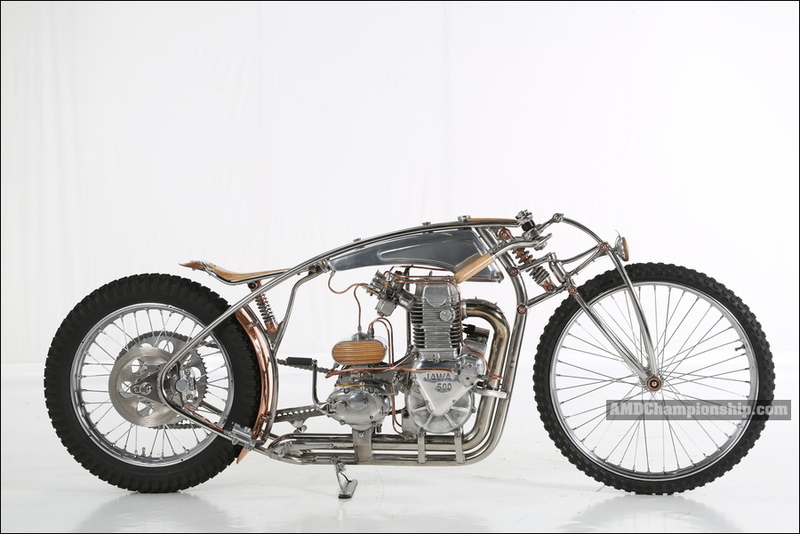 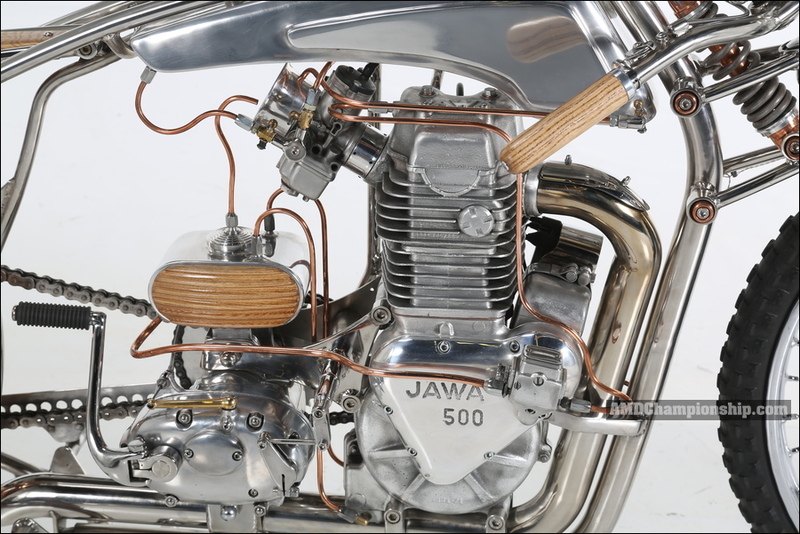 Engine Jawa 500 speedway converted from methanol to gasoline. 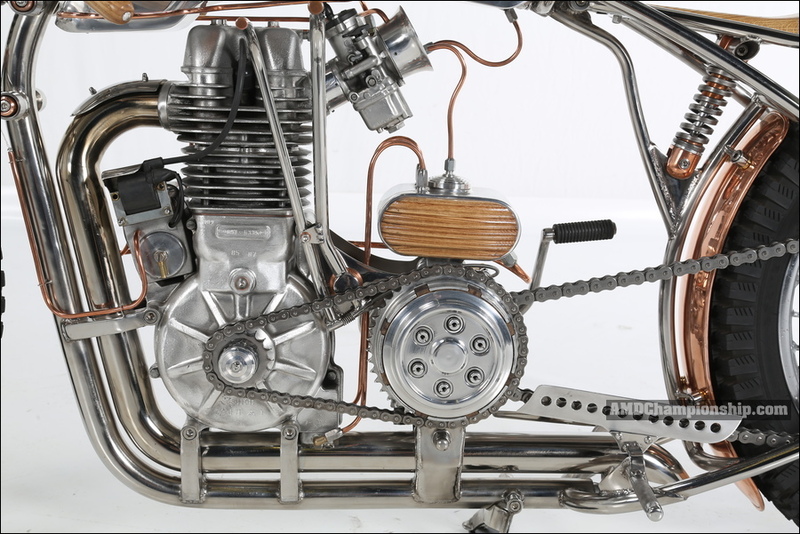 BSA transmission. 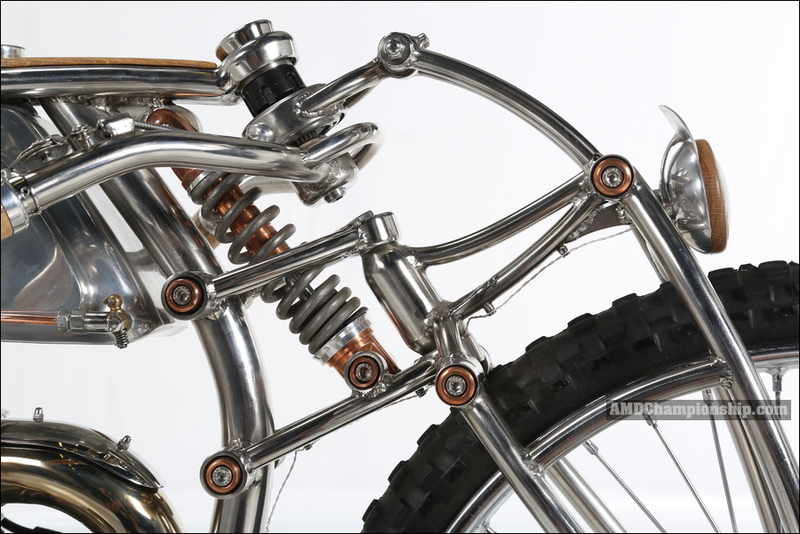 Front fork of the duolever system.